After excessive quantities once the living Buddha was surrounded by many small miniature dogs, which lion saw similar and played around the Buddha. In the case of a danger it transformed these dogs into large, genuine predacious animals it with its whole power and strength assisted. Representative figures of these animals carry also today still the throne of s. HL Dalai Lama, as well as the three jewels in the Tibetan national flag, which Buddha, its teachings as well as the monk community represent. This over almost 1200 years lived Buddhism culture is again in all dog impacts of Tibet thus to the Lhasa Apso, Shi Tzu, the Tibet Terrier, the Tibet Spaniel in addition, the Do Khyi. Its own to all in ”more lion-similarly” heading with shawl, likewise watchfulness and in the case of a threat courage and intrepidity. 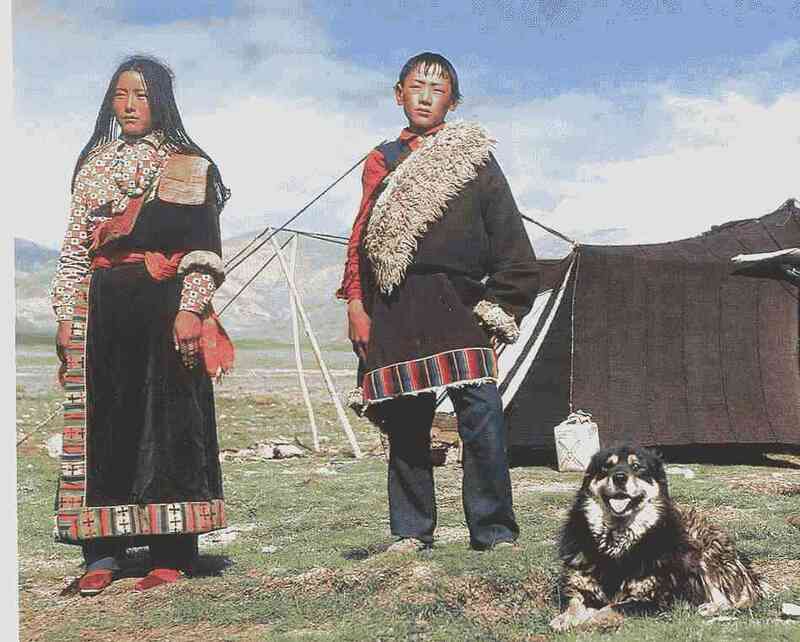 Tibet, the homeland of these dogs was separated over centuries by the powerful mountain chains of the Himalaya, the Transhimalaya as well as by deserts and stone fields of the highland. Here the sources of the most important for Buddhism and Hinduism of often holy rivers, for example rise from the Huang He, the Jangtse kiang, the Mekong, Indus and Brahmaputra. All rivers of Eastern Asia have here their origin. Likewise however the lift of the East Asian continental disk develops underneath the high country. Actually no miracle that also the homeland of many Daemons, spirit and Gods of the Boen religion still present in the people faith is here, likewise in addition, many myths evenly over this "legendary” Country also in our culture area. Already - also today this country still exercises a magic attraction on discoverers and adventurers, despite the often life-hostile, climatic conditions and abrupt weather reversals. 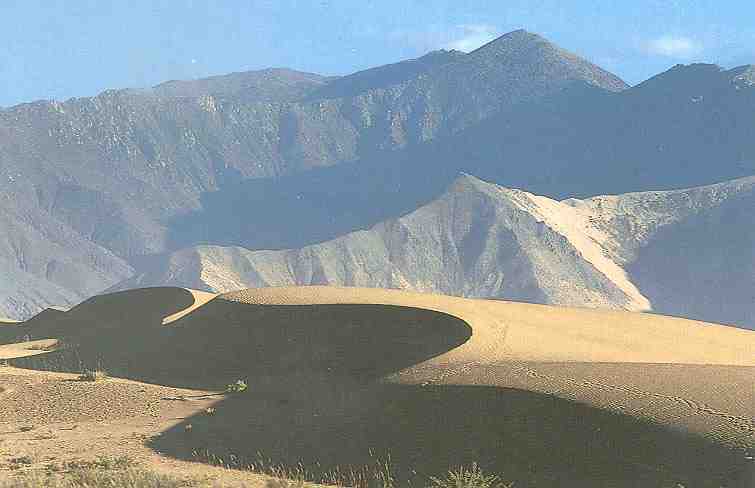 Poor, icy hill-ranges dry and stony valleys as well as most extreme deserts change themselves off with mildly air-conditioned, fruitful valleys. Almost up to the Chinese annexation 1951 Tibet was the latest as antique advanced culture which can be defined, whose survive can be explained over more than 12 centuries only by the life of humans in conformity with nature. The theory of the Buddhism in addition, the Boen religion has surely the prerequisites production for such a long period of the life, merged into the attention for all organisms. It only that the nature take which it also can give again. This time is with the Chinese rule past! 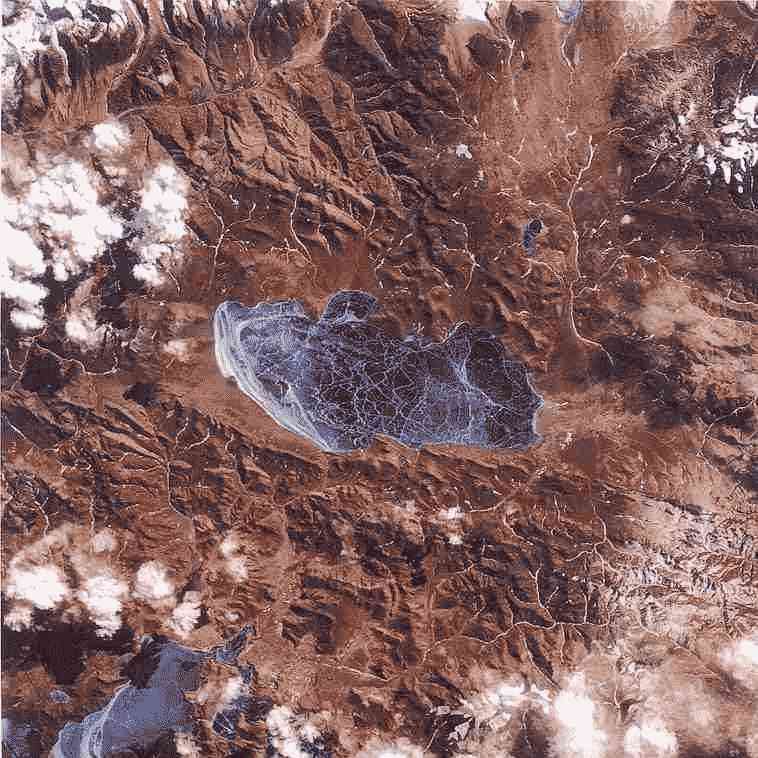 Also in Tibet today the effects of the civilization of China are to be seen on the environment in frightening extent. What ever subsequent effects this destruction on the ecological system of Asia will have can not at present yet scientifically be examined and occupied. The largest problem for the country and the native population probably represents the direct settlement by Chinese immigrants, whose will not keep nutrition on the basis of an equilibrium upright can. Famine, with which predominantly the Tibetan population died, as well as erosion and barrenness of the soil were the result. Irrevocable damage in the ecological system to it send humans of Tibet leaves the exploitation of the plentifully available resources by China is. 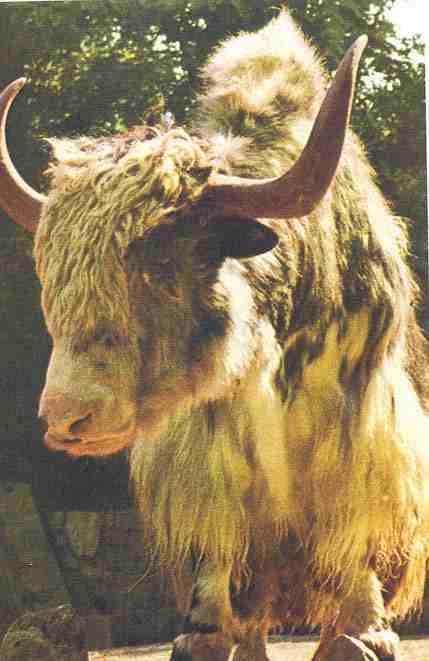 Beginning around 1960 by the red guards of the Chinese “gang of four” almost all monasteries, regardless of the cultural inheritance to mankind, were destroyed even “useless” Organism such as birds, antelope, kiangs and wild yaks destroys. 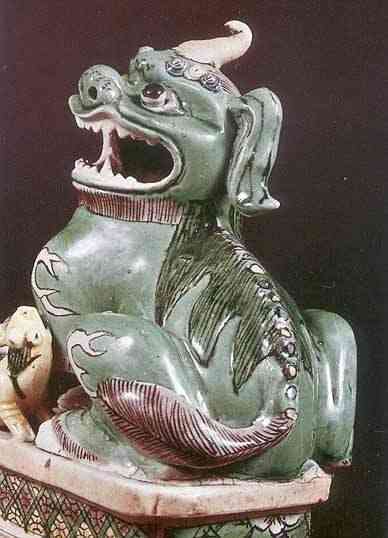 Subsequently, the pursuit of the lion dogs of Tibet everything the Do Khyi in front began. The target of China was it the culture of the population to destroy around their inside to break religious resistance. Also today to a large extent regardless of all political organizations the destruction of the Tibetan people is still, continued using for example over obligation sterilizations, medical supply lacking and the withdrawal of the bases of life of the native population. 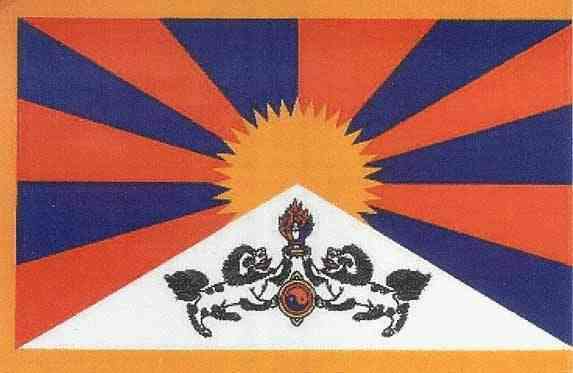 Proclaiming of the autonomous region Tibet is defining for it. 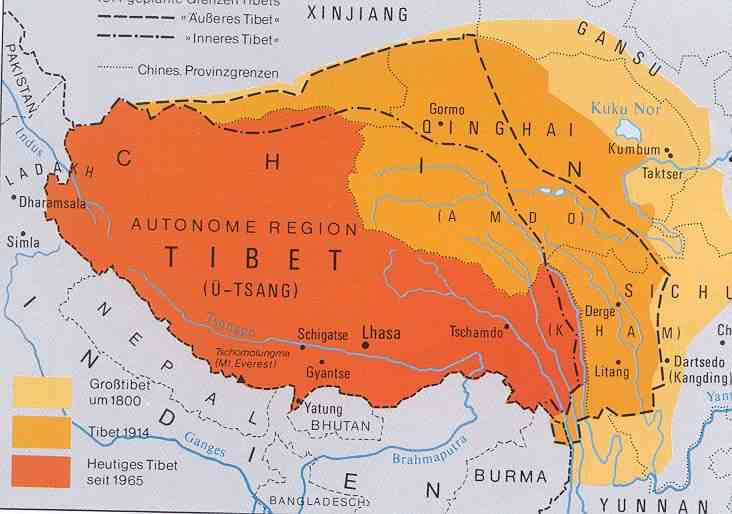 The fruitful sections of Tibet the regions Amdo and Kham were assigned Chinese provinces. The Holocaust at the population of Tibet as well as the continuing destruction of the culture places and bases of life found to today still no substantial, international objections! More about Tibet? - see under " links"